Simply Fill out this Form and Get Your FREE Customized Mortgage Quote Today! When it comes to purchasing or refinancing a home, Troy is dedicated to ensuring each client experiences exceptional service before, during, and after the mortgage process. 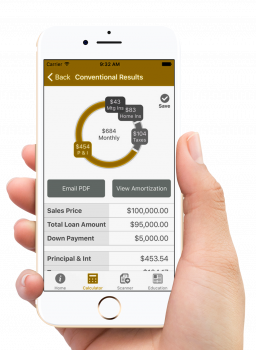 He goes beyond the typical lending process by using Loan Comparison, Total Cost Analysis, Document Tracking, as well as giving live weekly updates to the client. Troy uses these essential tools, in addition to his over 20 years of experience in lending, loan management, and monitoring the market, to assure each client obtains the best mortgage plan for their needs. If you’re looking to have gold-level service throughout every step of the mortgage process, contact Troy today! Life can get hectic but that doesn’t mean you have to sacrifice having the necessary financial tools with you. Mid Valley Financial's app is a mobile application that allows you to have the tools necessary always with you. Making your homebuying experience easier and quicker.